2) Body Shop Hemp Lip Balm - the HEMP line is not available in Hong Kong (because hemp is technically not a legal plant to import? Shrug. I dont know) I got this when I was in UK last last summer. Not a good product, not a bad one, not enough moisturising, not drying either. Just So-So. 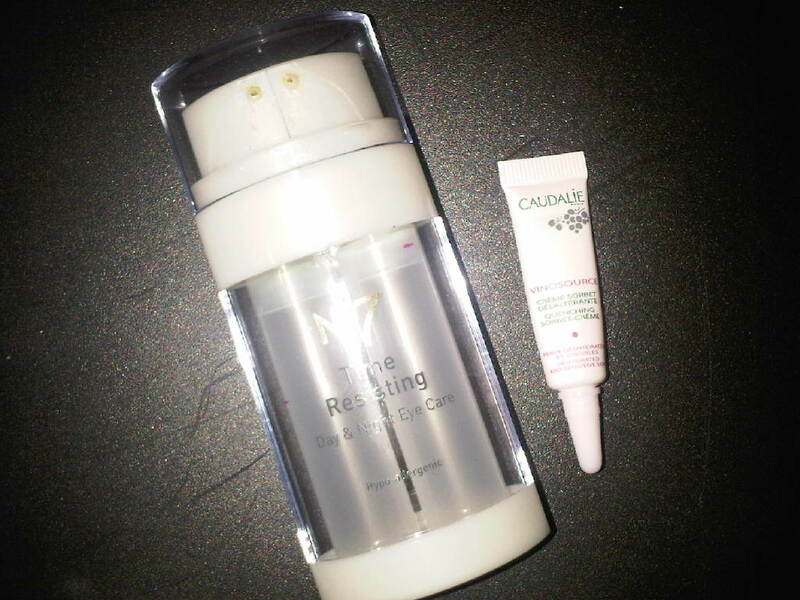 3) Caudalie Vinosource Quenching Sorbet Creme (sample) - dislike! this applies smoothly and feels moisturising at first, but after a few minutes, no matter what amount you applied, this will "crumb" up... disgusting! I have retired it from being used under my make up long time ago, but now for the sake of using this up I'm using it at night, same disappointing!!! 4) Boots No7 Time Resisting Day & Night Eye Care - just okay. Few weeks ago, I used up the cream (night) first, and then managed to finish the gel (day) last night. The consistency of both is good. Not sure about the time-resisting properties but definitely didn't age my eye area... Quite pricey for what it does (or doesn't), as I remember it is price at around 20 GBP? Glad I didn't waste any, credits to the not-bad designed bottle with 2 separate pump dispenser~! @sam sure! let's keep contact through email! Project "20 Body & Hair"